When you’re in recovery, you can’t do it alone, and you may find help in some unexpected and surprising places. If you are an animal lover, your pet can be more support for you during this time than you may realize. Pets offer unconditional love and they are completely non-judgmental. Having a furry friend to rely on – and that relies on you – may help you to feel empowered, and can keep you focused on your road to a new and healthy life. According to a recent Gallup poll, 60% of Americans have some type of pet at home. 44% of households have a dog, 29% include a cat, and 17% own both – and with good reason; not only are pets fun and adorable, but studies have shown that they make us happier, and many even show that they are good for our mental and physical health. One review of studies in 2011 found that pet owners often report higher self-esteem, greater feelings of belonging, and stronger overall feelings of well being in comparison to non-pet owners. Researchers have found again and again that even healthy people benefit immensely from pet ownership, and that many people with pets regularly turn to their animals for social and emotional support. It makes sense, then, that pet ownership can be a big help in addiction recovery efforts. There are many specific ways that owning a dog or cat (or bird, or horse, or reptile, or rodent) that can help ensure your success in your new, drug and alcohol-free life. One of the most wonderful things about pets is that they love their owners – and people in general – unconditionally. Your dog or cat won’t judge you for mistakes you’ve made in the past, and they don’t hold grudges. No matter how briefly you’ve been away, your pet is always excited to see you return, and it’s hard to stay mad or upset about anything when a wagging tail is greeting you enthusiastically whenever you enter your dog’s presence. Knowing that someone loves you no matter what can give you inexhaustible strength, and help you to love yourself, as well. When you know someone is counting on you, our natural instinct is not to disappoint him or her. Your pet needs you for food, shelter, and most of all – love. Because they love us unconditionally, we want to be there for them, too. Having to feed a cat, clean a rabbit’s cage, or walk a dog is something that can make us feel needed and wanted, and that drive can certainly help anyone in recovery stay sober and remain on the straight and narrow path. Furthermore, many pet owners in recovery say they feel like their pet knows when they slip or think about using – and that can be enough to help get through a rough patch. Whether animals can really understand this is obviously unknown, but a look or whine from a beloved critter can really affect us emotionally and perhaps reroute our actions towards more positive and healthy choices. Often, recovery means severing some or all of the unhealthy relationships you built with other users during your addiction. As a result, individuals in the early stages of addiction recovery can sometimes feel lonely or outcast. However, your pet will never inadvertently or directly pressure you to return to your old habits, nor downplay your recovery efforts, but will always be willing to hang out with you as much as you would like. Pets are great listeners, and you can talk to them about anything. And, pets can help you meet people and make friends – head to the dog park or pet store and your pet can help you to easily strike up a conversation with someone new. They’re great companions on hikes or short trips, and enjoy being a part of their owners’ social lives. Although your cat or hamster likely won’t be interested in going for a walk with you, your dog or horse will! Having to walk a dog or clean a horse’s stall can really keep you active and strong. Again, these types of activities can also help you develop responsibility as mentioned above, but besides that, walking or running with a dog, or riding a horse, can really give you new focus on exercise that you will both enjoy and eagerly anticipate. It’s hard to say no when an excited pup wants to go outdoors as soon as you get home from work, and that time exploring the world together can be fun, rewarding, and memorable for you both. Before you know it, your walks and rides will get longer and longer, and you’ll become healthier and more energetic with each and every step. 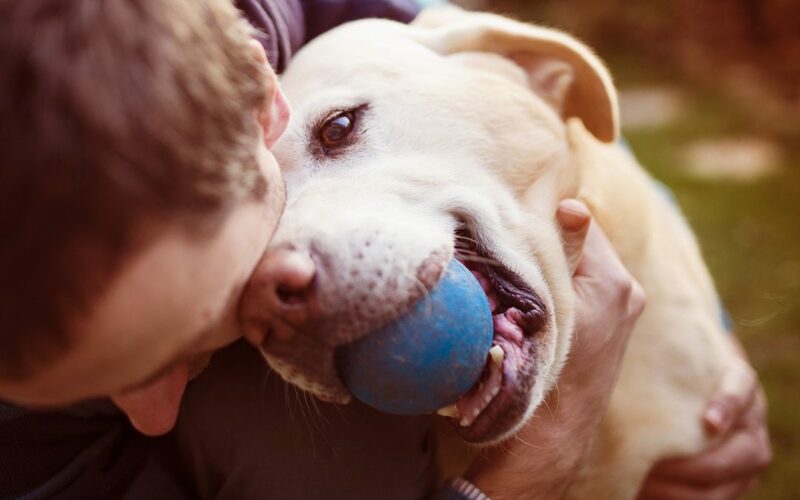 Besides improving your physical health through increased activity with your pets, scientific studies have shown time and time again that owning a pet or spending time with one can aid you mentally, as well. Being around dogs and cats can induce chemical changes in your brain – like increasing oxytocin levels, thereby lowering stress levels, and can also promote feelings of inner peace. Less stress in your life will make it easier for you to stay healthy and focused and will keep you away from things that caused you problems in the past. One survey conducted in Great Britain found that more than half of dog owners were more relaxed after spending time with their pets, and 44% said that they felt more positive about life in general. These feelings are great for anyone, of course, but can certainly be a huge help for individuals working on their own recovery in particular. Unfortunately, not everyone is able to have a pet, and perhaps you are unable to have one at this time due to your current living situation or other factors. Nevertheless, you can still experience the benefits of being around pets by volunteering at an animal shelter. Many pets of all kinds will be waiting for you there, and nearly all animal shelters offer a volunteering component. Volunteering will give you exposure to pets who need you, but further can also make you feel good, give you the chance to meet new people and learn new skills, and can potentially lead to future job opportunities as well. Pets are a wonderful part of life and they can help make us feel happier and more connected to the greater world. They can inspire us and make us feel loved and whole again. Including your pet in your journey to recovery can help you feel supported and confident, and your pet will undoubtedly love the extra attention too!